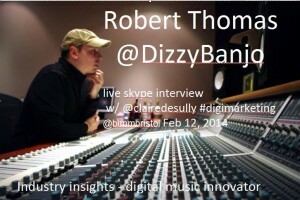 Digital Music Innovation – Live Skype Interview with Robert Thomas – Chief Creative Officer at RjDj | Don't mention the M word! At the heart of the areas I am lecturing is a desire to help learners understand the skills they need to allow them to begin their career. This is different to the mainstream, results-driven education system, which in my view shows learners what they need to know for an exam or assessment. I see both ends of this mainstream education system as I am also an employer looking for people with the right skills and the ability to think for themselves in order to adapt to a changing technological business environment. My specialism is digital marketing in the creative industry. Growth in the creative industries outstripped the UK economy as a whole in 2011-12 and in their recent report, Creative England said: “All growth in the creative sector is driven by digital”. I put these two points together and they are at the bedrock of what I teach. In a recent lecture for my @BIMMBristol music industry students I Skype interviewed producer, composer and programmer, Robert Thomas. Robert Thomas trajectory changed from composing music for adverts and radio, to making music for apps. Robert is Chief Creative Officer at RjDj – a company that has pioneered ways of using the iPhone to deliver music experiences and they have worked on some of the most successful apps in the world, as well as working with many innovative musicians and performers. Changing technology platforms are both a challenge and opportunity for anyone entering the music industry, especially as the industry itself is coming to terms with new and emerging business models. In my interview, Robert talks us through how RjDj have taken up the gauntlet and put themselves at the forefront of a changing creative digital landscape and he also tells my students how they can too! Click on the interview link or image of Rob to access the Skype interview.